We’re here to help. 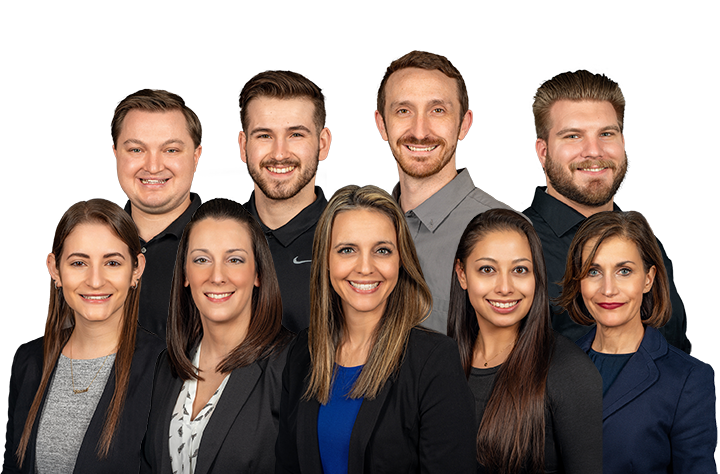 We are committed to achieving optimal patient outcomes by employing highly trained therapists, utilizing evidence based medicine in our treatment approach and offering individualized treatment programs. Each therapist takes a personal approach to patient care, education, symptom relief and preventative treatment. We focus on the individual needs of our patients, with clear and timely communication with your physician. Physical therapy treatments are provided in a one-on-one format and may include the use of modalities, manual therapy and exercise. The McKenzie Method® is a philosophy of active patient involvement and education for back, neck and extremity problems. We use various modalities and assistive devices that assist the necessary treatments to reduce symptoms and maximize function. Physical therapy treatments are provided in a one-on-one format and may include the use of modalities, manual therapy and exercise. Electric stimulation, ultrasound and hot/cold packs are modalities that help to facilitate initial stages of rehabilitation. Manual physical therapy is skilled passive range of motion such as joint and soft tissue mobilization, non-thrust and thrust manipulation, and stretching to improve joint range of motion and flexibility, reduce pain and improve function. We encourage our patients to be an active participant in their physical therapy care. Phoenix Physical Therapy serves your whole family. Physical Therapists provide services to prople throughout the lifespan to help restore and maintain maximum function and minimize pain.